TNPSC - Tamil Nadu Public Service Commission is going to conduct TNPSC Group 2 2014 Non-Interview Posts 2014 Exam on 29th June 2014 under the new TNPSC Group 2 (Non Interview posts) Syllabus 2014. The number of TNPSC Group 2 Non Interview Posts as per the supplementary notification is 2846. Dear Friends we are working to find the More Approximate TNPSC Group 2a Cut Off mark. We request you to kindly vote the TNPSC Group 2a Cut Off Poll. To get more approximate TNPSC Group 2 Interview Post 2014 Cut Off marks come back after the exam and correct your answers with the help of TNPSC Group 2a 2014 Exam Answer key (Official Answer Key for TNPSC Group 2a updated Check soon). Just vote on this TNPSC Group 2 2014 Cut Off marks poll below. Select the Number of Questions you got Correct in the TNPSC Group 2 2014 Exam. TNPSC Group 2a 2014 2nd Phase Counselling Schedule and 3rd Phase Certificate Verification Published. *Note: It is not a reliable one, Just an assumption. How Many Questions You Got Correct in TNPSC Group 2 Non-Interview Posts Exam 2014? Please Select the option and Click on Submit. Check Here the TNPSC Group 2 Non Interview posts Cut Off Mark Poll Result 2014-15. Check here the TNPSC Group 2 2014 Exam all Vacancy details postwise and the districtwise. Check here the Tamil nadu 69% reservation rule. You can Download the Answer key for the TNPSC Group 2a Non interview Post 2014 here for the exam to be conducted on 29th July 2014. The TNPSC Official answer key for the TNPSC Group 2a exam is also updated. You can check the detailed information about the date of publication of TNPSC Group 2a Non Interview results here TNPSC Group 2a Result Date. After the publication of the results please follow these simple instructions to check your TNPSC Group 2a exam result 2014. Your TNPSC Group 2a Marks will be displayed. The below assumptions are based on the poll result of TNPSC Group 2a Cut off marks. It was based on the 2000+ votes. [Kind request please do not vote more than once]. 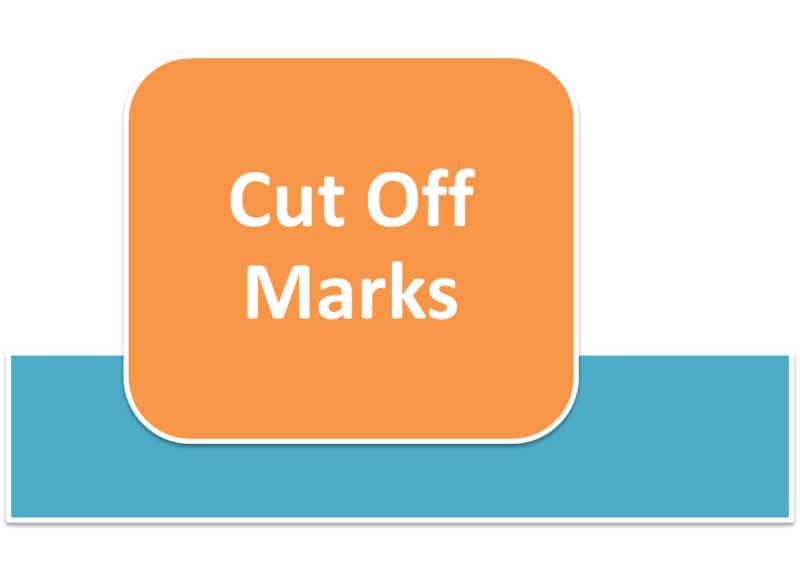 The below cut off marks are only assumptions based on the feedback, it is not a reliable one. After referring the Official keys everyone has some changes(Increase) in the cut off Marks. General English was very very Easy when compared with previous exams one can easily score above 80 even without much preparations. Those who prepared well can easily score above 90 to 95 even 100. So those who opted for English this time are really lucky when compared with Tamil Students. General Tamil can be compared with the last Group 2 Interview exam preliminary questions. Only those prepared well can score above 80+. Overall those who got over 150 Questions Correct can be said to be in the safe Zone. Check here the Expected Cut Off marks and Results of TNPSC Group 2 Interview Post Prelims Exam conducted on 1st Dec 2013. TNPSC Group 2a 29.06.2014 Question Paper Leaked??? you can get the information in the above link. Though it is not confirmed yet by the police, the news hurts all the aspirants. First of all we congratulates you all and a big thanks for all your support. Those who have missed this group 2a, don't lose your hope just prepare for the upcoming exams. Just consider this as one of the stepping stone to success. A better job than this is waiting for you. We are happy to say that our TNPSC Group 2a cut off marks predictions seems to be more accurate. It is made possible just because of all your support for our TNPSCGURU.IN website. If you have any doubt just post it in the comment box. We will try our best to help you. Once again we thank you all. Around 2400 candidates have been called for the counselling. Why ~2400 candidates have been called for Counselling? If we see the TNPSC Group 2a 2014 Notification, there are some posts with *symbol. May be some of those vacancies are not sanctioned yet by the Govt. "* The vacancies in respect of Post of Assistant in Police, Archives and Historical Research, Animal Husbandry and Veterinary Services, Hindu Religious and Charitable Endowments, NCC, Public Health and Preventive Medicine, School Education, Social Defence, Social Welfare and Directorate of Vigilance and Anti-Corruption Departments have been included in this notification pending issue of amendment to Special Rules for Tamil Nadu Ministerial Service. Hence, the selection against these vacancies will be made only on receipt of issue of amendment to Special Rules for Tamil Nadu Ministerial Service. " A Good new for all TNPSC Group 2 Applicants and those who missed the chance to apply for TNPSC Group 2 Non interview post in time as mentioned in the previous notifications. 2. New Last Date for Applying - 30th April 2014. TNPSC Group 2 Official notification for the Non-Interview post was announced in the month of February 2014. The total vacancies mentioned was 2269 Vacancies. The date of examination as announced in the notification (Feb 2014) is 18th May 2014, which was later rescheduled to 29th June 2014 in a circular published by TNPSC. The Exam Date of 29th June 2014 is also confirmed by the Supplementary notification published in this month April 2014. 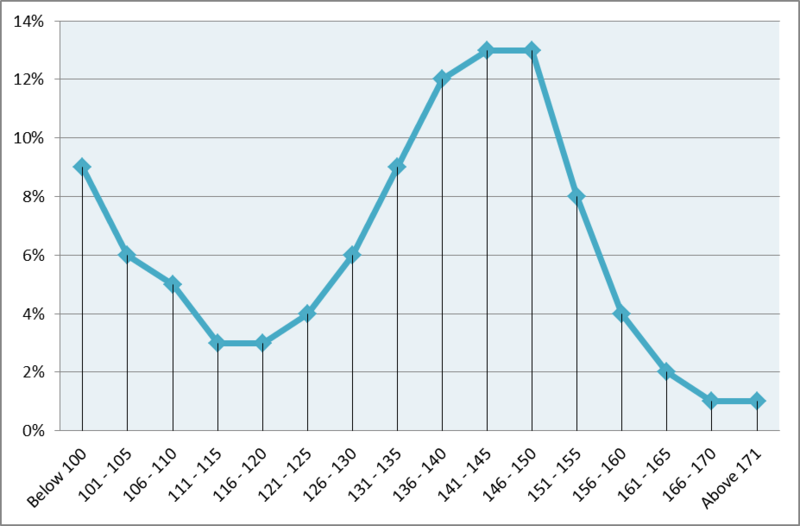 Now the total vacancies mounts to 2846 Vacancies. (2269 in the first Notification + 577 in the Supplementary Notification). Check here the District wise Vacancy in TNPSC Group 2 Non Interview Posts. Do I need to reapply for the New posts mentioned in the Supplementary Notification if I have already applied as per the previous notification? "Candidates who have already applied in response to the Commission’s Notification No. 1/2014 / Advertisement No. 379/2014 dated 06.02.2014 for direct recruitment to the posts included in Combined Civil Services Examination–II (Non-Interview Posts) (Group–II A Services) need not apply to this Supplemental Notification as they will be considered, as having applied for the post now notified in the Supplemental Notification. The facility of applying Online will be closed at 11.59 p.m., on 30.04.2014." will it be over 160 for group 2? What is the group 2 cut off for bc ? Group 2a tamil is easy one can easily score above 75 but general knowledge is tough what abt u guys?? @Raja: Have you voted the poll?? That population for North eastern states answer is wrong..
@karthikeyan: how many answers you got correct??? QULIFICATION: PG DEGREE @ DOB IS 1986.ANY CHANCE TO GET G2 NON INTERVIEW POST.PLZ REPLAY. 140 question correct Sir. What is the cut off for MBC female? you have chances for posting... have you voted the pol??? Thank u Sir.Yes i already voted. In gk what is the possibility of marks One (best ) can get sir ? you may be very near to cut off only moderate chance for posting..
when compared with the group 2 interview post preliminary exam how was the group 2a non interview exam? which one is tough?? What is the cut off mark for MBC female Sir? 133 questions corrects sir ....is there is any chance for posting (mbc female)? tnpsc group 2a question paper leak in cuddalore.is that true? puraliyai kilappuvathu en nokkamillai sir. I have prepared tnpsc exams. I heard the news. So unkalidam ketten sir. Thavaraga irunthal i am really sorry to all of you. withheld the exam and to conduct again. is that english very very easy??? Please spend some time for Us and Answer these Questions it will be helpful for other candidates too..
1. For english what are all the books you reffered? 2. Why you have selected English instead of Tamil? 3. how Many months did you prepare for English? 4. Have you went for any coaching? I am a 2013 passed out. I joined in a private institute for 3 months I had my training from September... But from march I started my self study . I referred 6 to 12th samacheer books for English. I believe I'm little strong in grammar so opted for English . And sir I got 162/200 questions in Vao exam.any chance..? sir, i have 128 questions correct, BC community any chance for posting. i got 157/200.. SC male..
67/100 in g.k.. any chance sir? tamil mattrum gs mathipengalai thani thaniye kuripidavum... Neegal endhu weakaga ulleergal endru parpadhukku..
Sir i have got 143/200 and i'm BC Male.Is there any chances? I got 151 questions correct(GE-96,GS-55)...I am a SC candidate....Is there any chance? sir i got 144/200..Mbc female am eligible for posting or only eligibl for first phase? What is the cut off mark expected for MBC, Male for TNPSC Group IIA? Whether 145/200 is in safe zone? What is ur opinion? sir I have one doupt... whose get the first preferance... commerce degree holders (or) science holders... am a science holder. am got a 147/200.. male bc. my frient got 140/200. BC male. but he is a commerce holder..
One kind request, If u add new excel with the parameters like (Group 4 marks out off 200, their community rank in group 4 and Group 2 A expected marks out off 200) it would be more relevant to predict the community wise toppers. Hope most of the people will support it. Thanks in advance. Keeping the Excel accessible to all. i didn't get you reg gr4...??? Ya Mr.Lee, if u get into this, u will understand. with this we can compare the performance of the toppers of Group 4 with Group 2 A, so that the accuracy of predicting Cut off might improve, since the cutoff is based on the Number of top performing candidates. one more drawback existing in your survey, what i feel is, NO direct link to view the sample survey, in order to view that we are in a position to submit another response for your survey, which leads to Duplication of sampling. Now its good to see that "the link has been shared". Thanks. Correct me if i am wrong. Thank you Arun Prakash, We appreciate your valuable feedback we will try it in near future in the upcoming group 1 (intregrating group 1 and group 2a cut off) if it get success we will continue it ok? 147 questions correct, MBC , Male, How much chance can i expect for post? I got 156/200 BC male. is there any chance for group 2A post ? I got 153/200 MBC male. is there any chance for group 2A post ? gr2A tamil 90 questions correct and g/k 64 questions correct total 154/200 sc men. I have chance to get job? Hi Mr. Lee, I have got 150 questions correct, MBC, Male, How much chance can i expect for group 2a post? less chances do well in your Group 1 Exam.. FRIEND ITS NOT rumor ... TRUE ONLY..
150 is 2 months is really great... are you preparing for group 1 and upsc ? It is a very sensitive news so only no media except maalaimalai has published the news... Only after the official confirmation we can confirm that... so we need to wait for few more days..
purpose,those who have money will override every one.Poor people has to tolerate everything. Friends, TNPSC - Group 2 A Official Key has been released. Check it out. I have scored 154 - SCA - 1988 born - PG. I do know how many candidates are ahead of me. If any one belongs to SCA, pls pin ur marks here. Thanks. As per the reservation quota top 51 only get through. @arun Prakash: you have understood the reservation rule wrongly...it is not only 51 from SCA category will get the job it is minimum 51 candidates from SCA Category are assured to get job, the General Turn are open to all the candidates... Got it??? As per the key i got 146/200. Tnpsc key vs private key 6 to 10 questios differing. Pls all candidate check tnpsc key. And share ur marks. Am sc/male i have any chance to get job mr.lee pls answer for me. thanks for reply .yes i know one more person who has got 160/200 and for me iwrongly calculated my mark actualy my mark is 163/200 how about my chances for posting? thank you so much that makes me feel good . lets wait and see. I belong to BC. And i have secured 138.0 cutoff mark. Can you tell me whether there is a chance for the posting ? Whether our cutoff mark is calculated in the form of 200 questions * 1.5 mark = 300 ? Whether the above cutoff graph shows marks based on this calculation ? Can you tell me what would be the minimum cutoff range for bc male candidates ? I scored 151/200. Eng-92 GK-59. BC Female. Whats my chances of getting the job? I belongs to bc women.I scored 142/300 on group 2A.Is there is any chance to select me? i got 136/200 MBC..female..is there any chance for me??? Sir, I got 127/200 ST candidate female.pg degree, is there any chance for getting job? 151/200 SC Female. Any chance for posting? Kindly reply admin sir. if the question paper had been leaked out before examination, it would be really disappointment for all aspirants. sir, i got 127/200 ST female. Will i get the chance for posting? sir i got 143/200 in GROUP 2A exam.. & i Am MBC, Female... is there any chance to get job??? Dear admin and frnz. Hi to all. . .im shiva belongs to Bc/Male category. .I ve scored 153/200(GE-93:GS-60). . Will i get job? ?if so for which phase ill be called for?? can expect in the first phase..
On which basis. These phases are determined. . Totally how many phases?? so nearly some 700 vacancy will be there after a particular period..
2nd Phase: 700 candidates will be called..
You can check a example for this in TNPSC website itself check Vao 2012 counselling i think till now 9 phases of VAO 2012 counselling has been conducted. Thank you so much sir. . .Then im sure of getting job. . This about 40 % of candidates dint even write the exams. . . .Is that a added advantage?? hi sir , i had scored 158/200 in group 2 a. i am belonging to BC male category .If there any chance to get call for in the first phase .....? (GE -93,GS-65).please reply me...........! I belongs to mbc category female. . My score is 145/200 . . Pls tell. Whether i will be selected?it may be in any phase but i need job?will it happen? DEAR SIR, MY NAME IS SELVY. I GOT 141 QUESTIONS CORRECT AND IAM MBC FEMALE. WILL I GET CHANCE. ALSO I ENTERNED ONLY MY UG DEGREE IN MY APPLICATION AND I NOT ENTERED MY PG DEGREE. HOW CAN I RECTIFY THIS? Do anybody know about the result of investigation done in cuddalore and by Tnpsc for answer leak.Pls any one from cuddalore share the update.